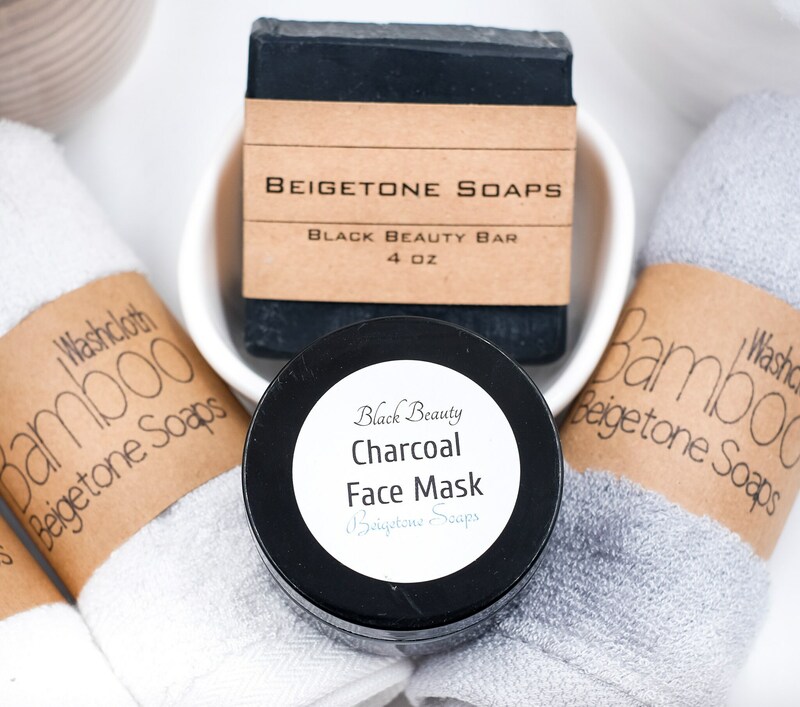 Black is beautiful because charcoal is so good for your skin. 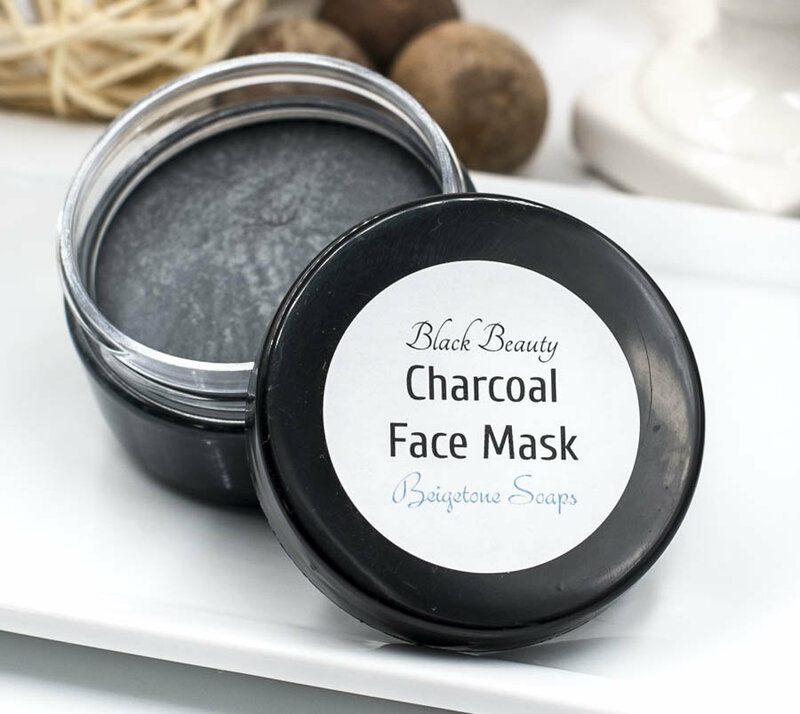 CHARCOAL FACE MASK - Sleek, creamy and glossy, charcoal facials detoxify and nourish skin. 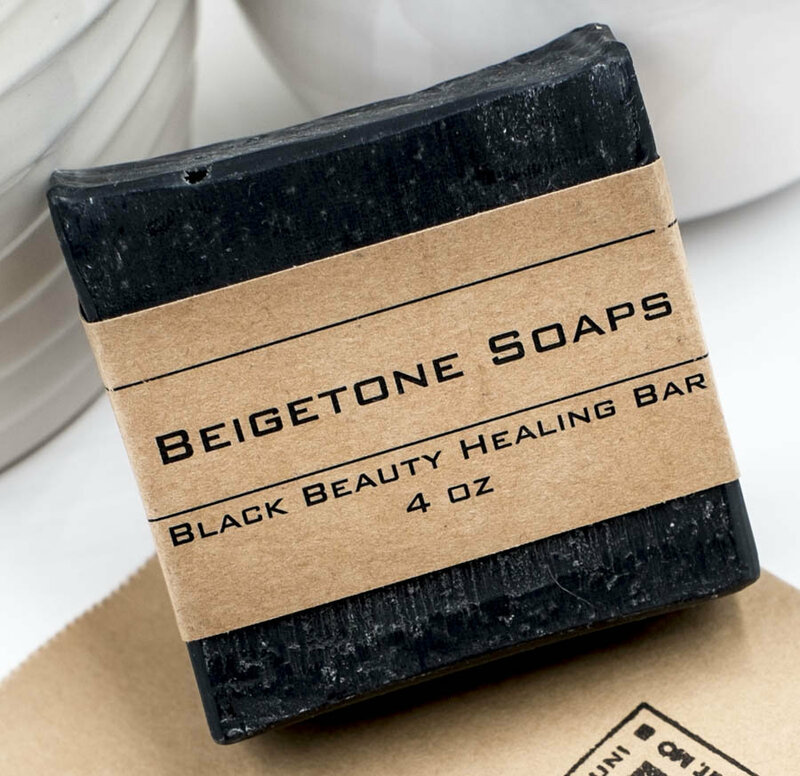 Activated charcoal draws out toxins and possess antibacterial properties. 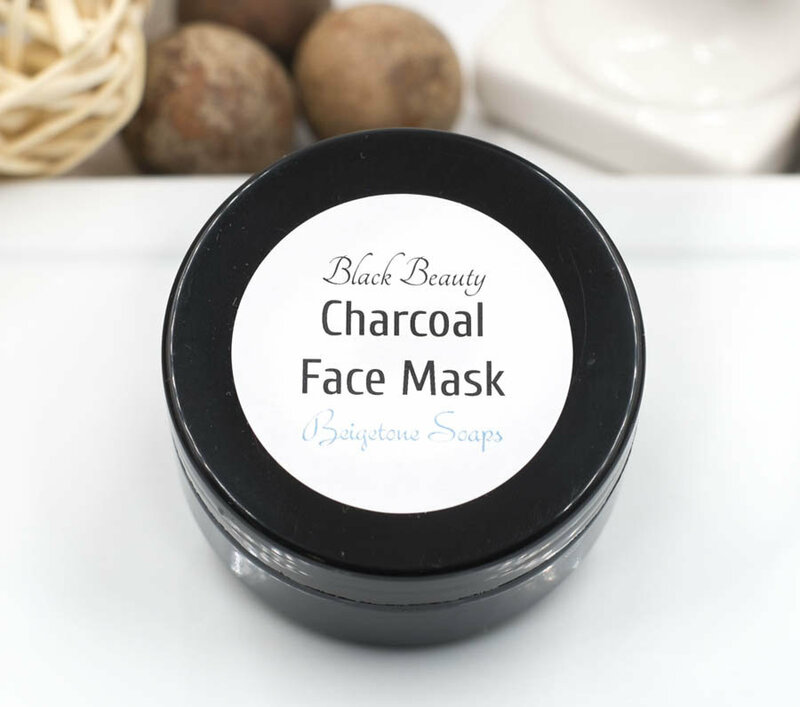 Helps treat acne, reduces inflammation and soothes dry itchy skin. Leaves skin pink and healthy. 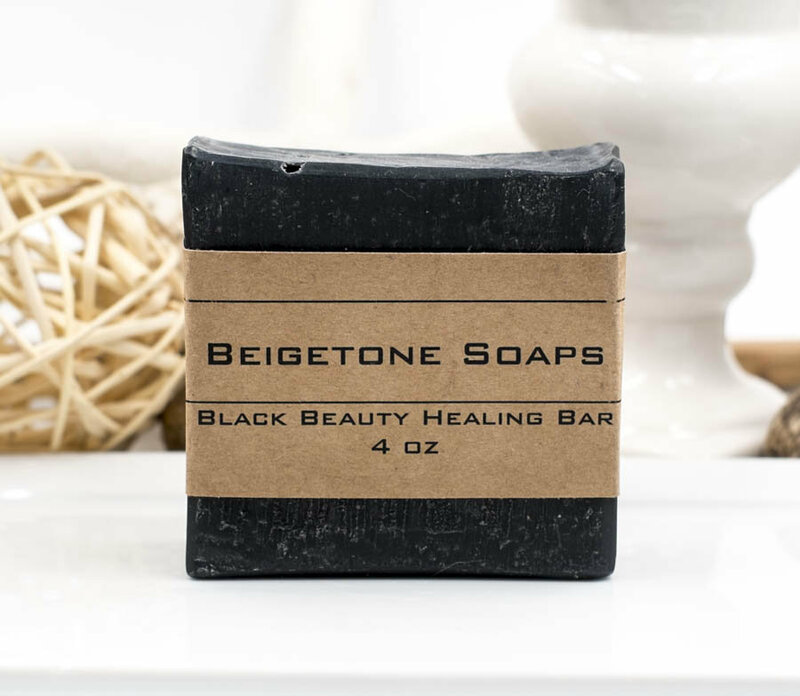 Contains: Shea butter, Sweet Almond Oil, and activated charcoal with Lemongrass, Rosemary and Peppermint essential oil blend. 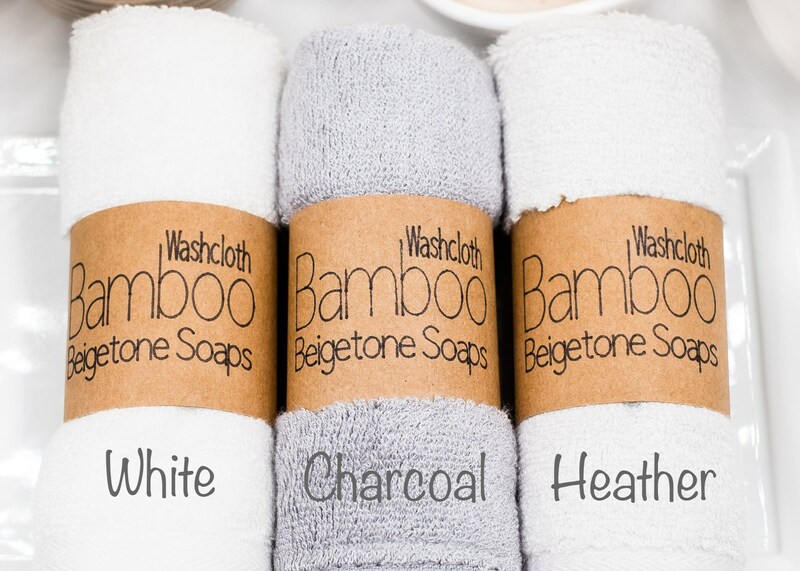 BAMBOO WASHCLOTH are the softest you will ever use. 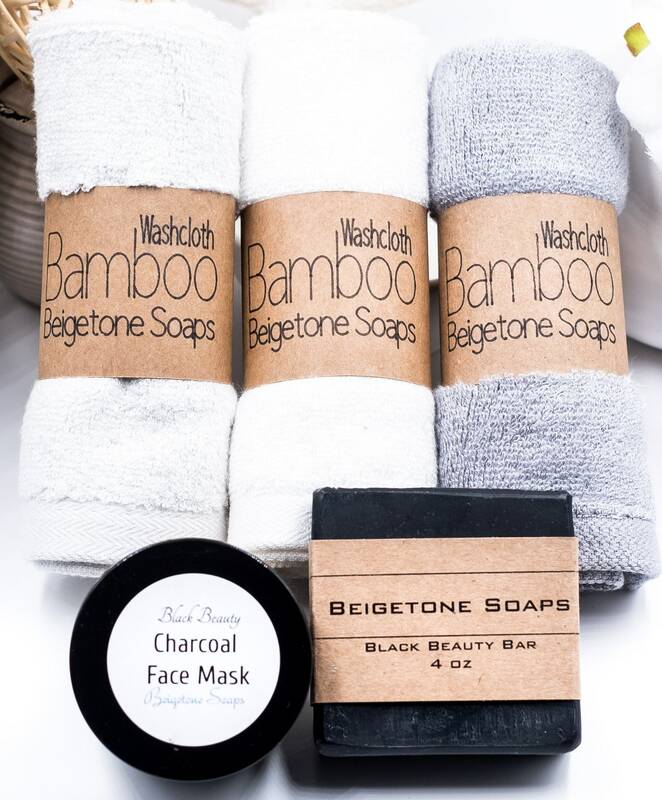 Charcoal and Heather Grey goes well with all our Black Beauty products. 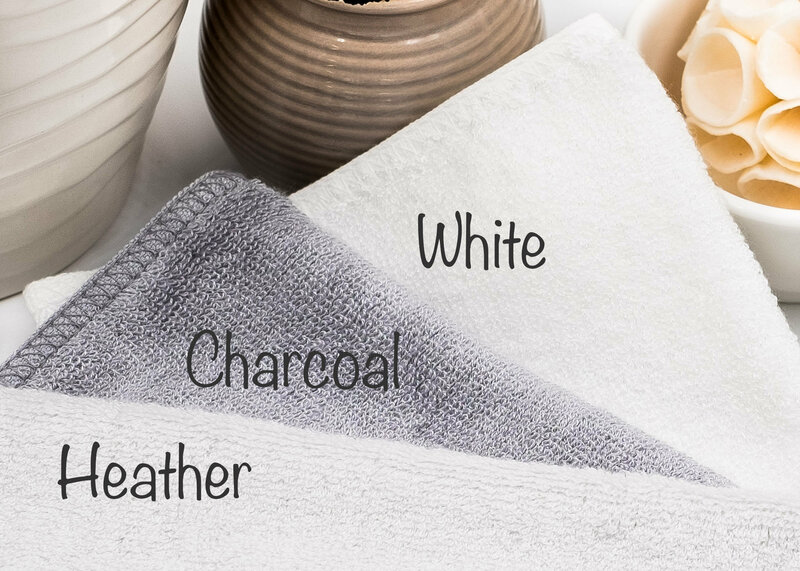 Once you use these you won't go back to cotton. Try em, you'll LOVE em. 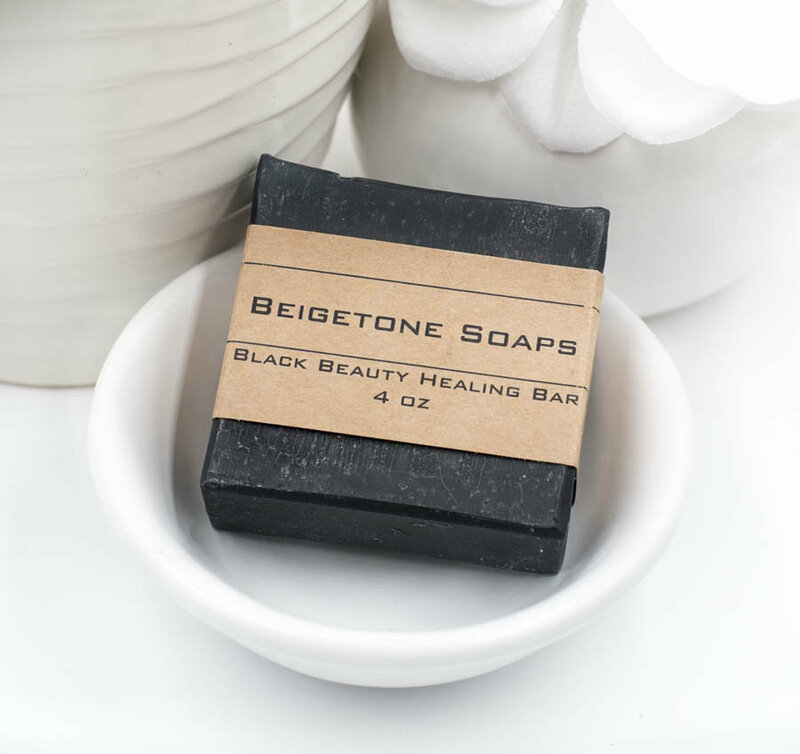 Beigetone Soaps are carefully crafted just for you. 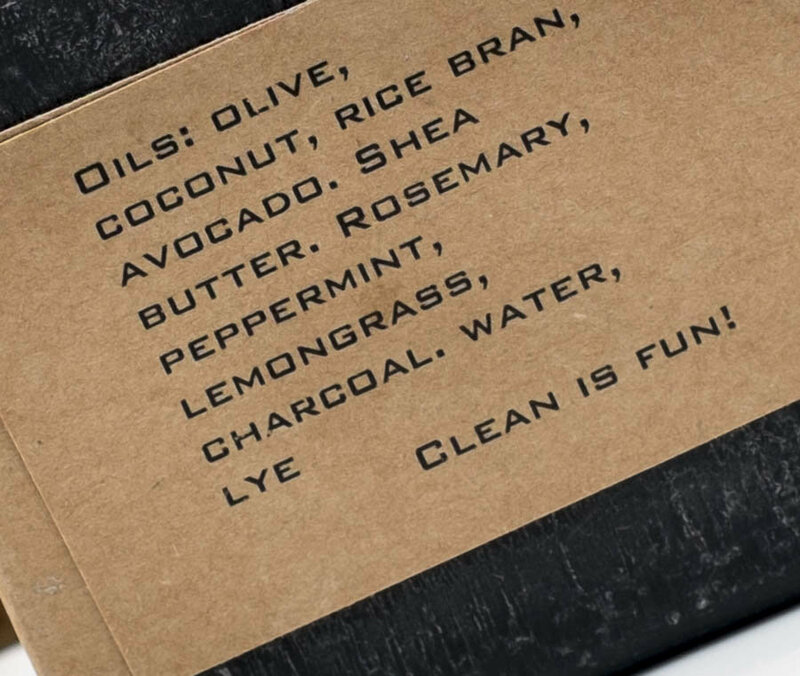 Products are wrapped with the care that makes them ready-to-give the moment they arrive, or have them MAILED DIRECTLY to your loved one for a special surprise. We’ll include a note from you. Just let us know.